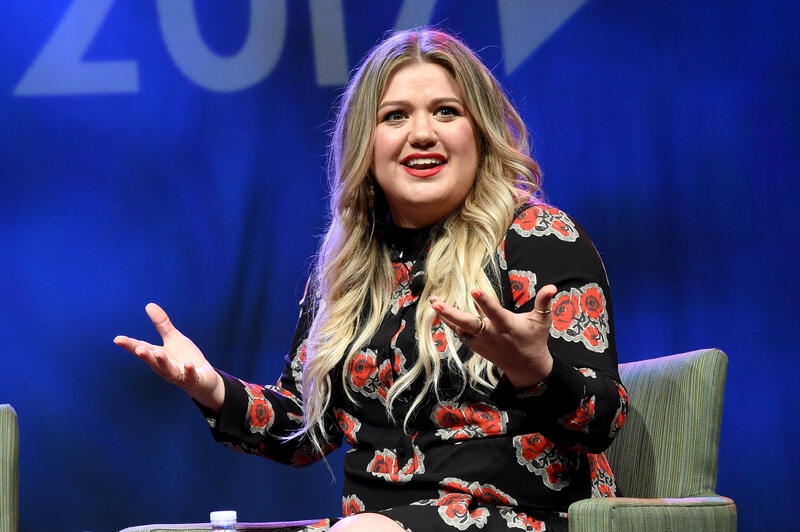 Kelly Clarkson says she passed up on "hundreds of thousands ... or millions" in royalties when she refused to share a writing credit with controversial mega-producer Dr. Luke. She told Z100's Mo' Bounce that she made changes to a song that Dr. Luke, whose real name is Lukasz Gottwald, wrote and could have received a writing credit, which would have allowed her to rake in big bucks. But she said, "I was like, 'I don't want my name near his. I want to pretend this didn't happen in my life and I want to forget it.'" She explained how much the decision potentially cost her. "I was making a point to the people working with me, going, 'This is how much I didn't want to do this,'" she continued. "I don't care about the money. I don't care about, 'Oh, you're going to be the most famous person if you do this.' That's not what holds weight in my life." Clarkson, who has talked about her issues with Gottwald in the past, said she was coerced into working with the producer even when she voiced her discomfort with him. "I asked not to work with Dr. Luke just because I had not had a good experience with him," she said. "It was just one thing and they wouldn't even give it to me." Clarkson also said that the label offered her a writing credit because she had made significant changes on the song. "I did deserve it on that song because I changed it a bit but I was so frustrated I was forced to work [with him]," she said. "Basically, they were gonna sit on my record unless I did what they wanted," Clarkson explained. "I was so frustrated because I literally said, 'Anyone in the world but this one person. I will work with anyone you want to put in my path.'" She also continued to bring home her point by saying, "I generally love everyone. You have to be a special kind of ... " Mo' Bounce finished her sentence and said, "Jerk." Clarkson continued and said, "Yes, for me to not like you." Clarkson has a new single called "Love So Soft" and an upcoming album called "Meaning of Life." She will also be a coach on "The Voice" in 2018. Gottwald's name has been inextricably tied with Kesha's allegations that he threatened and sexually and emotionally abused her. Though Kesha lost most of her lawsuits against Gottwald, dozens of celebrities came forward to support Kesha while Gottwald's career at Sony has been reportedly "winding down."